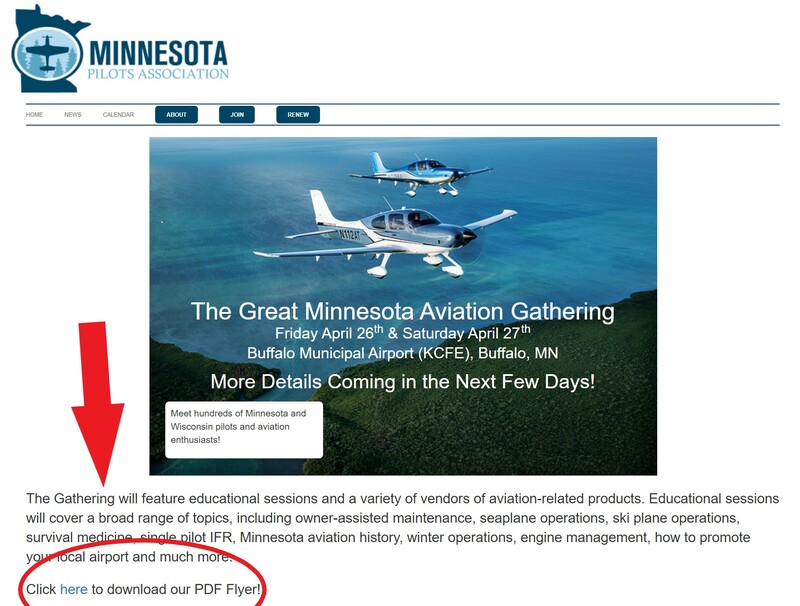 The mission of the Minnesota Pilots Association (MNPA) is to promote and protect aviation in our State through advocacy, education, outreach and social activities. Our association firmly believes that a healthy aviation community is an invaluable asset to the State of Minnesota. MNPA membership and volunteers join to act as the voice of pilots, aviation enthusiasts and supporters of aviation in Minnesota. 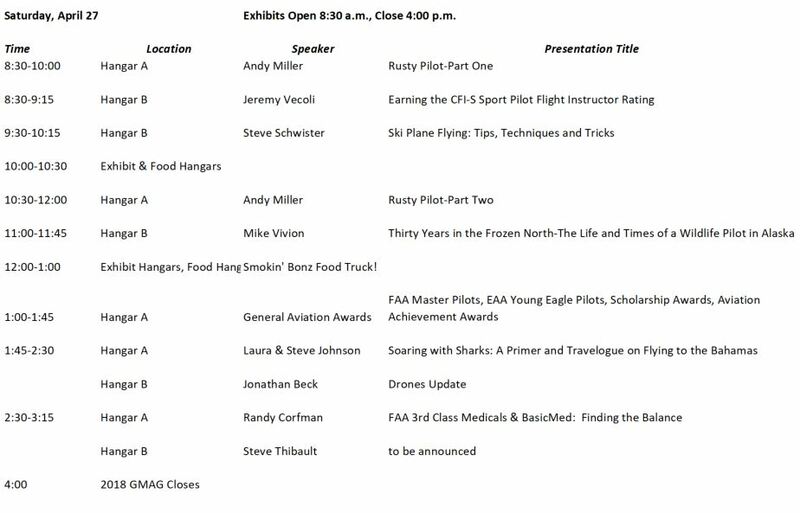 Click here to see previous "President's Briefings"
We are kicking off a “Meet and Greet” as a way of bringing together our Exhibitors and aviators who attend our 2019 GMAG. The Meet and Greet will follow the last Hangar Flying Session and be held from 4:15 to 5:00 pm. 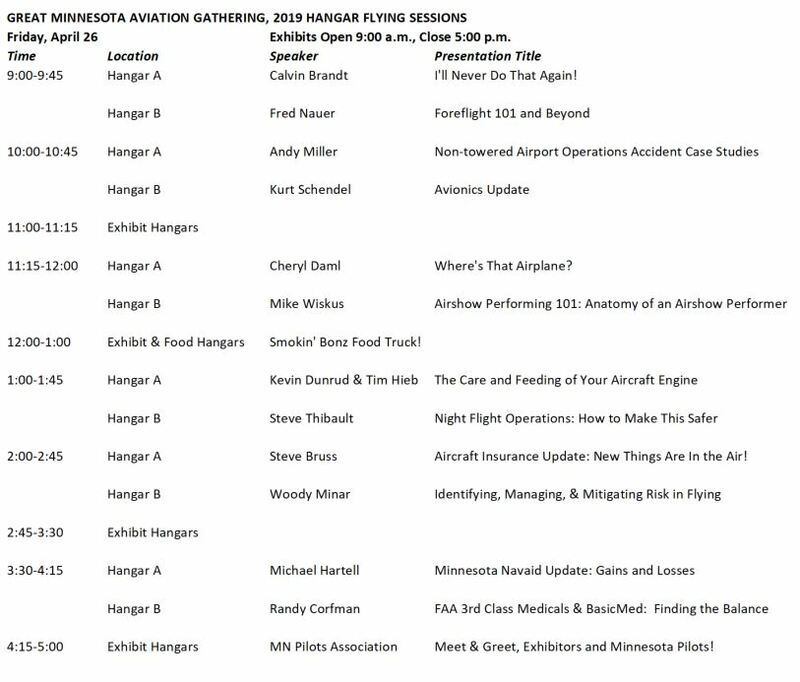 We hope you will be able to visit with the fine exhibitors who have spent a long day in the exhibit hangars, and share beverages with them, letting them know how much we appreciate their support of aviation in Minnesota! Smokin’ Bonz’ BBQ will be available for exceptional BBQ cuisine immediately following the Meet and Greet, and this will be followed by none other than the live music of the Sawtooth Brothers bluegrass band. Rain, Snow or Shine, we will have a hangar available to enjoy fine, lonesome bluegrass music and who knows, there may be a bonfire to share while we tell hangar flying lies and tales! Can’t afford a hotel room for that night? Fear not! We have arranged for a hangar to be used as the Minnesota Pilots Sleeping Quarters, so bring your cot, your folding chair and your sleeping bag to spend Friday night…and be awoken by the roar of aircraft engines Saturday morning! We are excited about the possibilities we enjoy at the Buffalo Municipal Airport. Stay tuned here, and check out our Facebook/mnpilots page for details. Remember…current members of the MN Pilots Assn gain free admission to both days of the GMAG! Click on the GMAG button at the top of this page for updates for housing, fly in instructions and parking instructions. It is going to be a terrific event! This entry was posted in News on 04/13/2019 by Randy Corfman. committee and the MN Pilots Assoc. thanks to everyone who took the time to apply. This entry was posted in Assn, MNPilots, News on 04/04/2019 by admin.